When you get your tax refund it is easy to burn through it quickly by going on a shopping spree or treating yourself. But maybe there is something else you should be doing with it that can prepare you for future financial success. 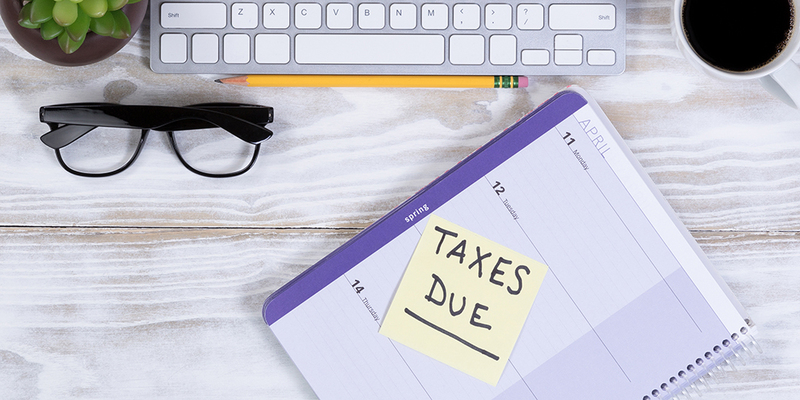 Here are a few alternatives that you should consider for your tax refund this year. Personally, this is something I’ve done before. I put half in a savings account to use for a down payment on a car. You don’t have to save all of it. You too could split it 50-50 and still have a shopping spree, but with a little smaller budget. The money you put into a savings account will earn interest and that can add up over time, especially if you keep making small deposits into the account throughout the year. You can use this account to create a cushion, help you save for a goal (like I did) or as money set aside for emergencies. If you don’t have a savings account and are interested in opening one, you can learn about our savings accounts on our website at https://centralnational.com/personal/savings.asp. Even if you’re not behind on payments, this is a pretty smart thing to do with your tax refund. Paying extra towards your principal on an auto loan, home loan or even student loans will save you money in the long term since the loan will earn less interest. Over the life of the loan, you’ll end up paying less. You definitely won’t regret this decision. If you have interest in seeing how you can consolidate debt, or want to refinance an existing loan, contact one of our personal bankers to learn more! No matter how old you are, it’s never too early to save for retirement. If you have children, or are considering going back to school yourself, putting part of your refund in a college fund is another option. Interested in going this route but need help getting started? Our Trust & Wealth Management team can help you get that start! Learn more about our team and products here! https://centralnational.com/personal/investments.asp. When owning a home, it seems like there is always something that needs fixed or updated. Using your tax refund to help pay those expenses can help you maintain your home without digging too deep into your pockets. If 2019 is the year for a big home improvement project, perhaps more than a tax refund can handle, we can help you finance the project as well! Learn more about our Home Equity Line of Credit loans online at https://centralnational.com/mortgages/heloc.asp. If you’re looking to get a return on your tax refund, investing is the best way to do so. You don’t necessarily need to invest in stock either. If you’re looking for a safer route than the stock market, you could get a money market account or open a CD. CDs have a higher return, but the money is locked in until the term of the CD is over. You do have the ability to withdraw the funds early, but there are penalties. To open a CD or a money market account visit a branch near you today! The bottom line is there are plenty of things you could do with your tax refund. Saving doesn’t necessarily mean you can’t take some of the money you get back and still go on your shopping spree, but if we didn’t tell you about your options, we’d be doing you a disservice. That’s what “Money for Life” is all about!